Three people were arrested by police on drugs charges relating to the find while one man is also being sought by police. Police estimated that the street value of the find could be in "the hundreds of millions" and that the lab had been in operation for some time. 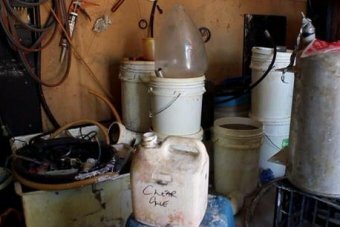 "This — what you could describe as a 'super lab' — is one of the largest meth labs ever discovered in South Australia," Detective Superintendent Mark Trenwith said. 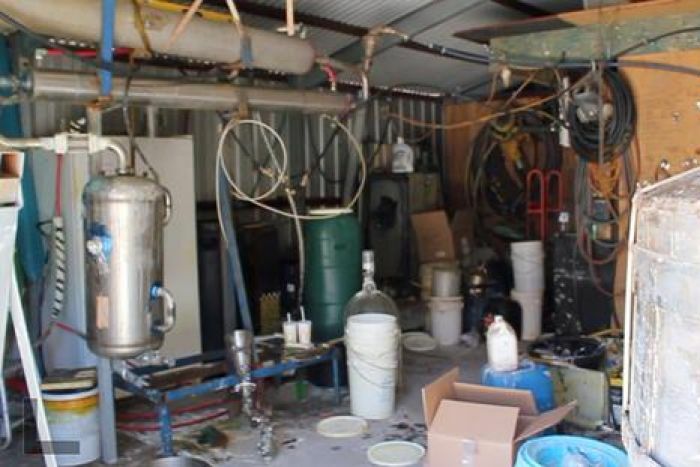 The industrial-sized clandestine laboratory was discovered at a property in Croydon as part of an ongoing joint operation with police conducting a search of the premises at Scotia Street. Detective Superintendent Trenwith said a large amount of precursor chemicals were found, and it was estimated that there were hundreds of kilograms of what is believed to be pseudoephedrine powder at the address. "The most significant outcome of this joint operation is that hundreds of kilograms of meth will be prevented from hitting the street," he said. He said further testing would be required to determine the exact nature of the illicit substances. 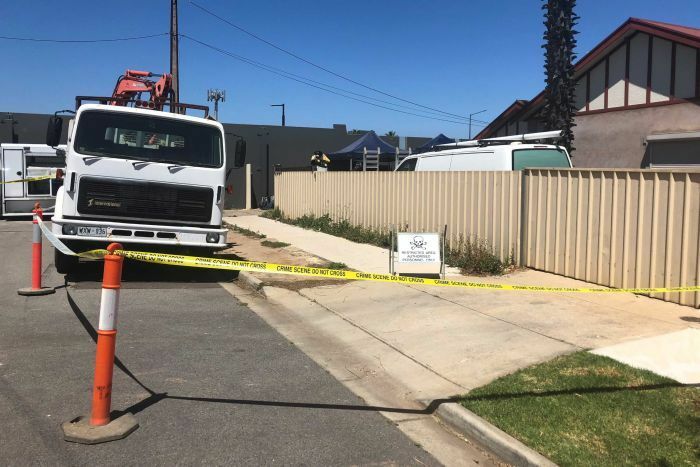 Detective Superintendent Trenwith said police estimated hundreds of kilograms of powder was found at the property and so much drug paraphernalia that special lifting equipment may be needed to dismantle the scene. "We may be required to bring in special lifting equipment, such as forklifts, trucks to dismantle and remove the lab due to the size and weight of the components involved," he said. "Construction processes were [also] underway at this site to build more large scale, clan lab equipment." He said a large amount of precursor chemicals were found at the site, which posed a significant danger to neighbouring homes in the area. "They contain toxic chemicals, often associated with fires and explosions," he said. "This is an extremely dangerous process, very large vessels that are used to mix up this toxic mix of chemicals … the dangers of explosions and fires cannot be underestimated. "In terms of clan-lab equipment this is definitely the biggest industrial-sized clan lab set-up that we've seen." Three people were arrested and charged with manufacturing a large commercial quantity of a controlled drug, namely methamphetamine, and trafficking a large commercial quantity of a controlled drug. They were a 46-year-old man from Croydon, a 24-year-old woman from Croydon and a 57-year-old man from Killarney Vale in New South Wales. Detective Superintendent Trenwith said police expected further arrests to be made and one man in particular was still being sought. "Enquiries will continue both within this state and elsewhere … we expect further arrests to be made in relation to this matter," he said. "In particular we are seeking to locate one man we believe is involved in this operation who we are attempting to locate at the moment. "I would advise him if he's watching to get some legal advice and give himself up at a police station, he will know who he is." Police said the premises at Croydon would be processed by detectives, police from the Forensic Response Section and a chemist from Forensic Science Australia. Detective Superintendent Trenwith said the processing would take several days. 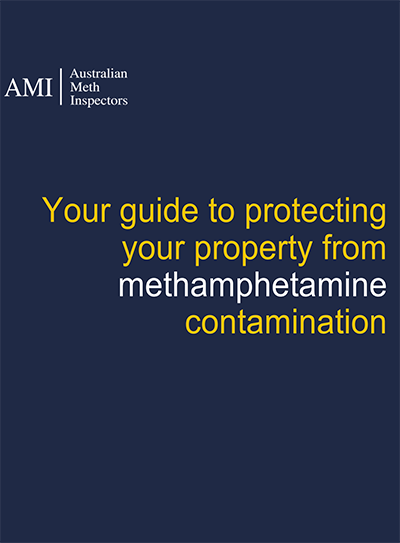 Members of the public who have information about drug trafficking or manufacture have been urged to call Crime Stoppers on 1800 333 000.
CREDIT: Article featured in ABC News Online on 29 October 2018.